Reino Lehväslaiho, respected Finnish author and war veteran has passed away at age of 96 years old. Lehväslaiho was born on April 13, 1922, in Akaa-Toijalassa, and fought in three wars: Winter War, Continuation War and Lapland. Lehväslaiho was wounded three times during his time in the military, but the fearless Sergeant Major Lehväslaiho made is name when he destroyed seven Soviet tanks with his T-34 during the Continuation War. 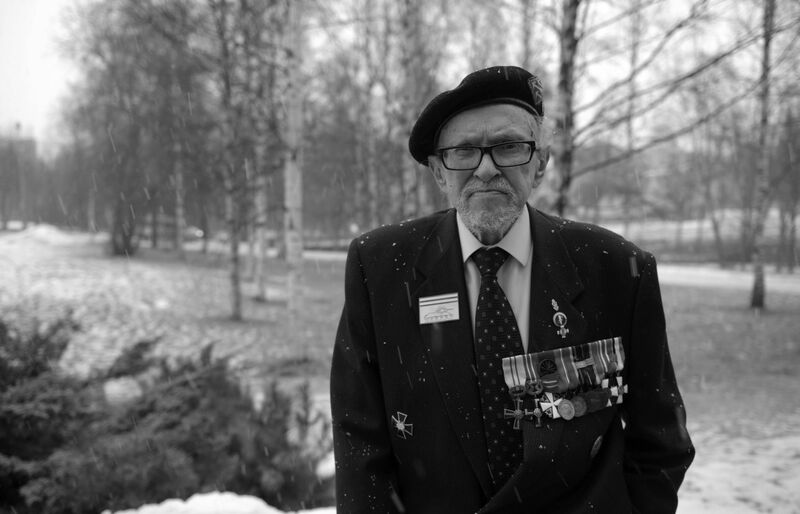 Badly wounded during fierce gun fighting against Russian infantry in Tali-Ihantala tank battle, in the Summer of 1944, he quickly recovered and returned to the tank regiment during the Lapland War. He was awarded numerous medals for his courage and merit during the war. After the Second World War, Lehväslaiho, among other things, worked in an office, as a sailor but most of all he excelled as a war writer. He has written 45 novels and was one of Finland’s most productive authors. his last work was published in 2012. World of Tanks players will better know Lehväslaiho for the game Epic Achievement: Lehväslaiho’s Medal. Awarded to players of medium tanks who destroy two or more enemy tanks or tank destroyers, where the enemy vehicles must be at least one tier higher. Lehväslaiho passed away in his hometown Seinäjoki, aged 96 years old. Very few of these old guys left, and the numbers diminish every day. Rest in Peace. For you have earned it. To Honor you, is ours. By all righteous soldiers, of honor and pure heart who died in the strict fulfillment of duty. May our creator receive you in his house and ward off all the sufferings he suffered. It’s always sad when anyone dies and he was an obvious gallant soldier but we mustn’t forget that whatever his courage and qualities he remained a soldier fighting in support of the Nazi’s. The enemies he faced were Soviets with their own brutal and appalling regime but they were facing down the absolute horror of Fascist Germany. Put it another way, if the tanks he and his comrades destroyed had been available in the fighting against the Germans would the campaign against Germany been shortened by a day (or an hour or a minute)? In that time saved how many Americans, British, Canadians, French, Poles or Jews could have been saved? One of the worst lessons from any war is that good, decent people can be persuaded to fight for evil and even worse, those same good, decent people can carry out actions and atrocities that they would never even considered in their normal lives. Of course somebody had to play the nazi card. Finnish soldiers fought for their own country, not for the Nazis. – Soviet Union invaded Finland 1939. Land and lives were lost, leaving a bitter taste to put it mildly. – In 1940-41 Soviet Union continued to press Finland and it was becoming obvious that hostilities would start again in the near future. – It was either to wait for Soviet Union to attack, a war that Finland was surely going to lose. Or join forces with Germany, retain independence and reclaim the land lost. I´m pretty sure that concentration camps were not commonly known at this point. Both Soviet and Nazi regimes did horrendous things in their time. Whatever the governments did during WW2, I wouldn’t go blaming individual soldiers for these. ttk – I agree, but we can’t avoid the bottom line truth that Finland fought as allies to the Nazis. They did so to protect their own nation but despite fighting for their Nation their skills, gallantry and blood also served Fascism. Things are not always that black-and-white. “Supporting Nazis” and “defending your home, your family, fellow citizens and yourself with the support of a foreign regime that happens to have similar goal (holding off the red army)” are two things I wouldn’t put on the same shelf. This is where things are getting simplified a little too much again. The Soviet Union was a no less fascist regime than Germany, they just gave it a different name. Looking at civilian casualties caused by comrade Stalin’s wacky ideas BEFORE AND AFTER WWII makes you wonder how any change in history could have saved more human lifes. Lehväslaiho’s seven “kills” would have probably had a negligible impact. I respect your philantropic view, but one must never lose sight of the bigger picture. Discussing history is a right and laudable thing to do, but we’re about 90 years too late to judge.